This full value stream simulation presents a car showroom to the random customer base, which as each car is selected the Kanban rules cause a replenishment pull from the car warehouse and ultimately from the factory and from the raw materials suppliers. Heijunka is presented as a method of leveling the factory in this random demand mixed model simulation exercise. 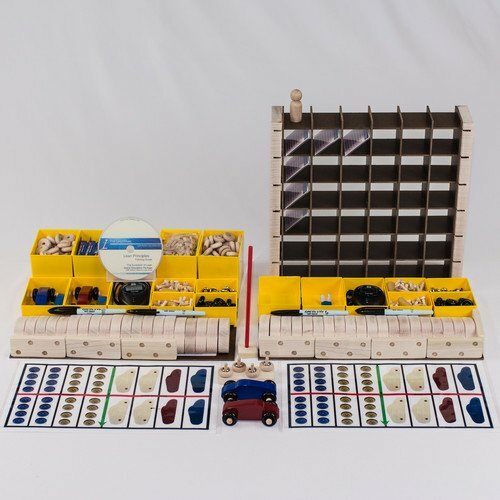 All materials are presented in the Deluxe-Plus Kanban Package, or if you own a car factory kit – the Kanban Upgrade Kit adds just the extra materials necessary for the full simulation experience. The simulation exercise is designed to provide the ability to focus on any aspect of the value stream – like train the planning and scheduling members of the team to deal with random demand, or teach work cell operators to understand the entire lean flow methods. The team set up is variable but works best with 10 people. The facilitator guide includes a printed and bound color guide book and PowerPoint presentation which provides a complete discussion of the Kanban control methods. The Facilitator guide lists things to observe and point out to the people, comments to add for clarity, and suggestions for improvement. Please Note: The Kanban Car Factory Simulation exercise is also part of the Grand Simulation Package. The LeanMan Grand Simulation Package is a reduced cost recombination of the Deluxe Car Factory Simulation plus the VSM, the Kanban and the Heijunka simulation events conveniently packaged into two double-deep containers. This combination package saves over $517 if all included items were purchased separately. 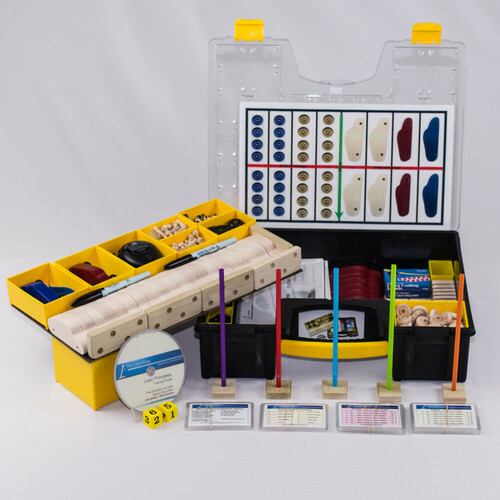 The Kanban Simulation integrates two great products into one single double-deep container, providing an excellent training range from beginner to advanced. 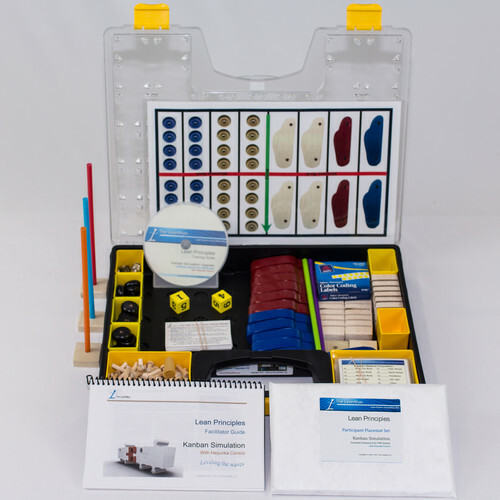 LM Kanban Simulation Upgrade Kit adds the materials used to demonstrate lean customer-pull simulation with kanban control to the LM Car Factory training packages.